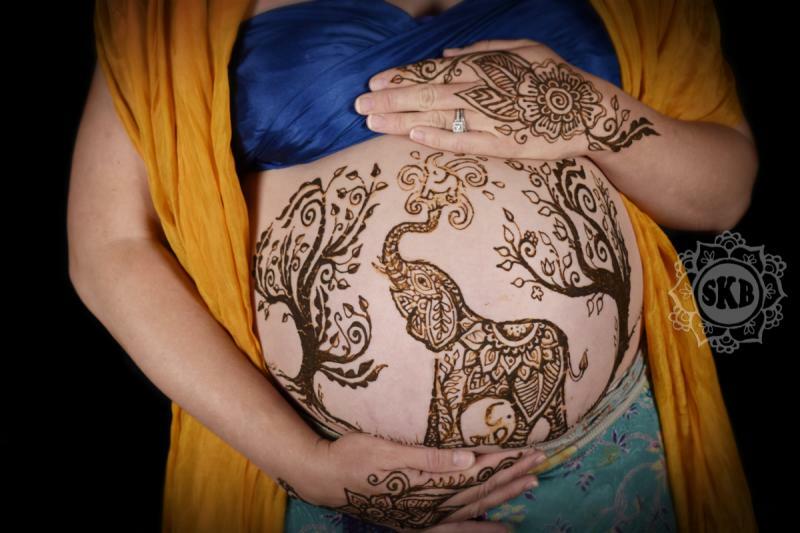 Postpartum henna is a wonderful tradition ~ supporting a new mama's need to rest and regain her strength. 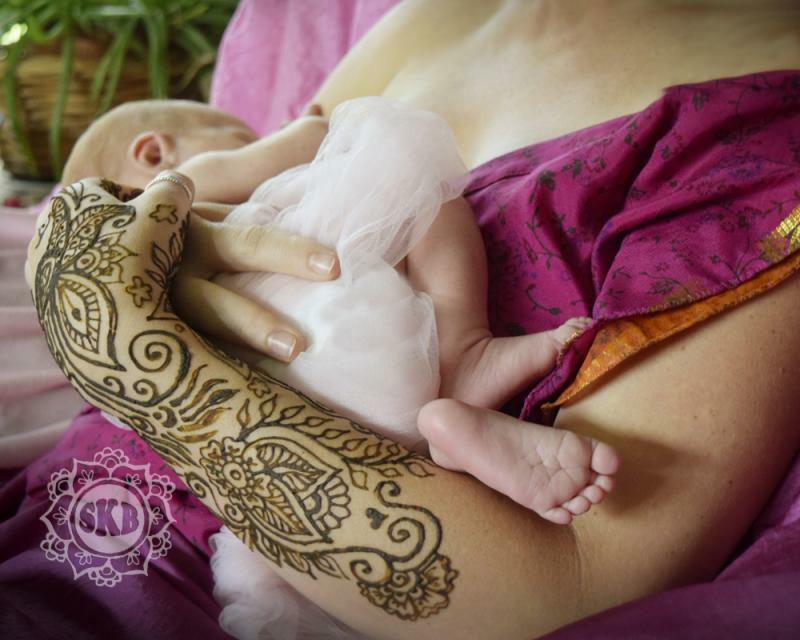 Julia sat and nursed her baby girl while I applied henna to her hand, arm and feet. 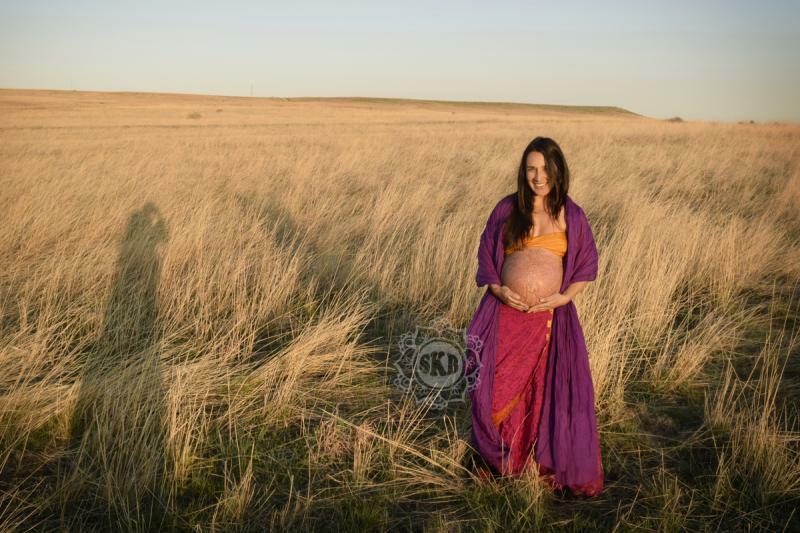 We returned a few days later to photograph Julia and her family. 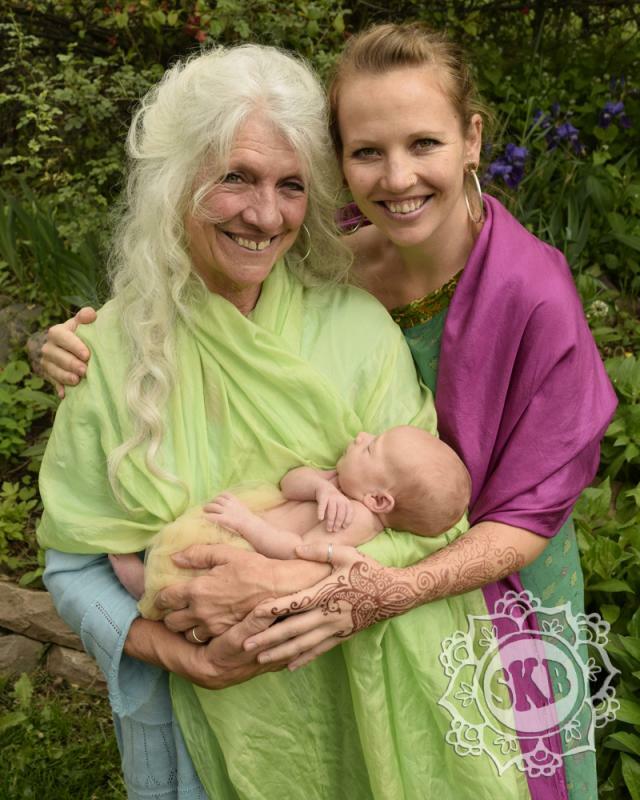 Here we have 3 generations of women! And behind the scenes.... this last photograph was taken by my beloved husband Rob, who is also my lighting assitant on photo shoots. 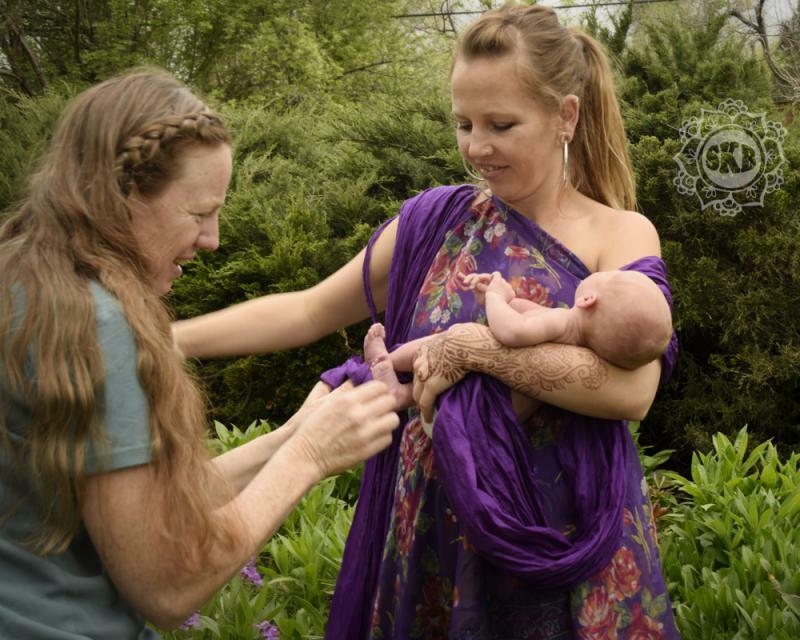 I am carefully tucking some silk around this dear baby's feet. I love my work in the world! 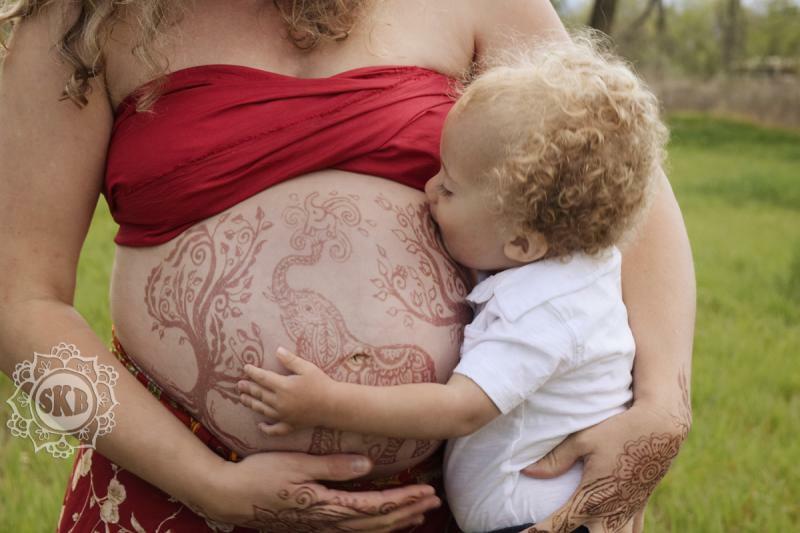 So much love from this baby, her mama, her grandma..... 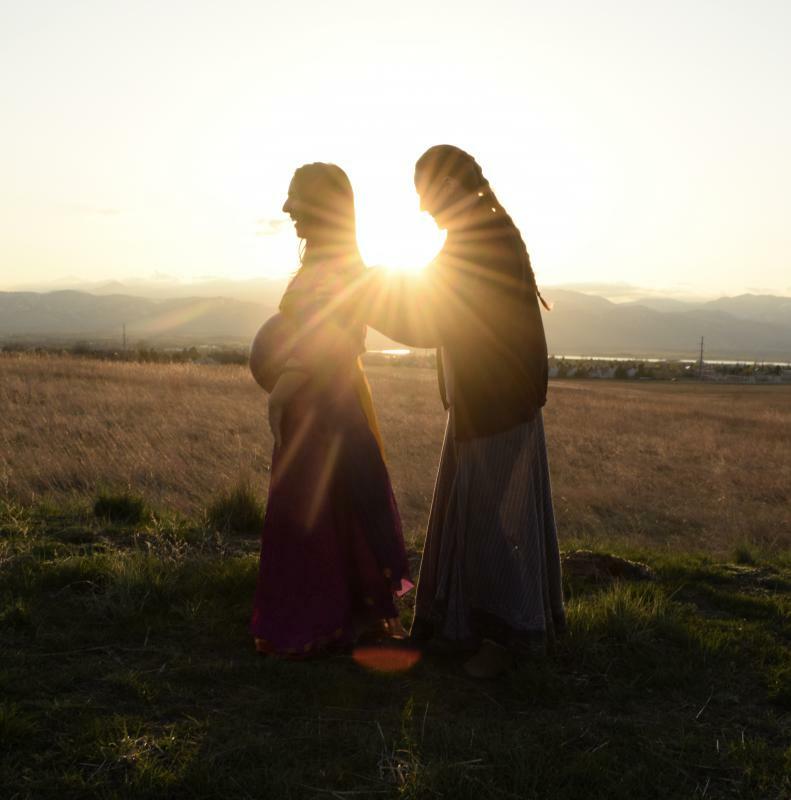 I really feel honored to witness this precious time in their lives. 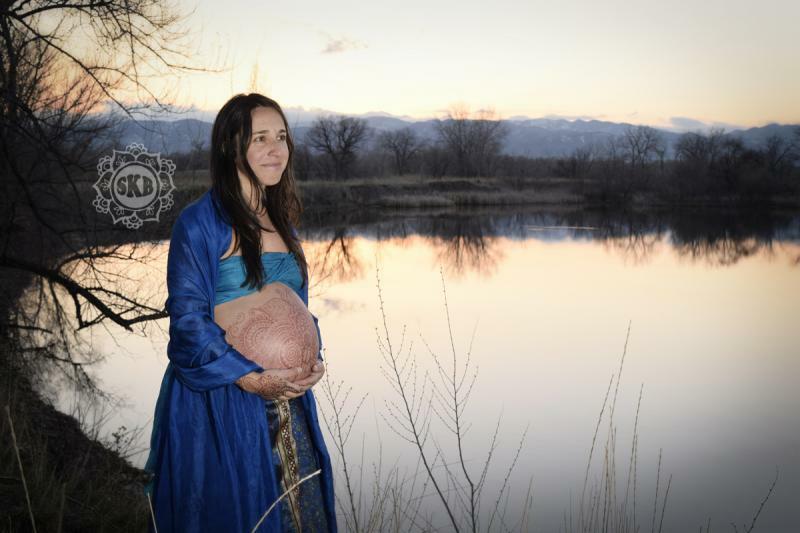 This is one of my favorite photos (above) from my recent photo shoot with Carrie and her little boy. 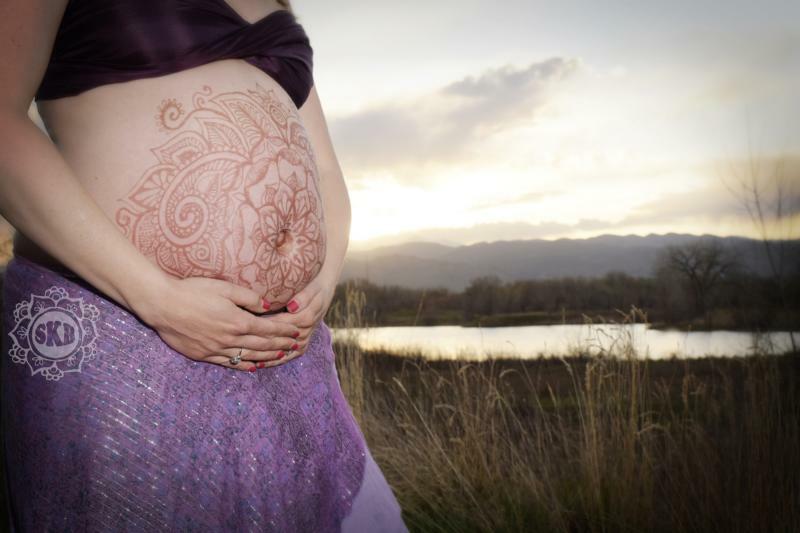 I first met Carrie in 2014 to celebrate her first pregnancy, which we did with a whale theme. 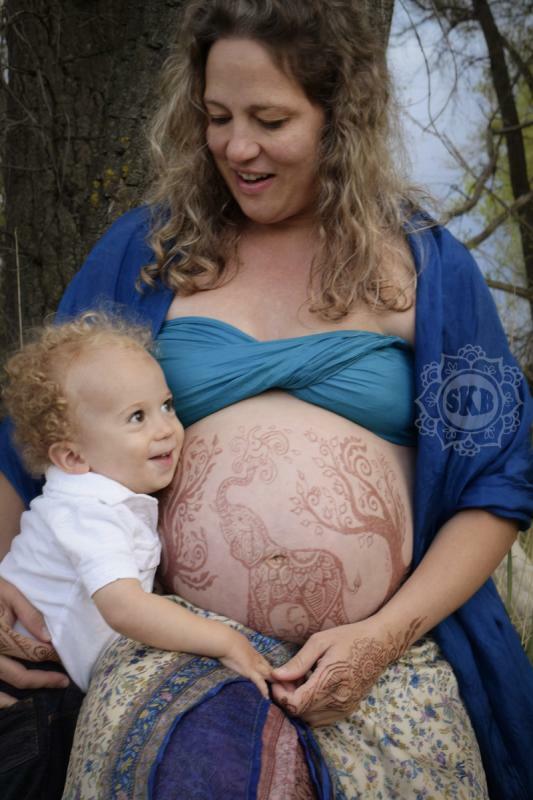 She also came back for postpartum henna (see the little baby feet?) 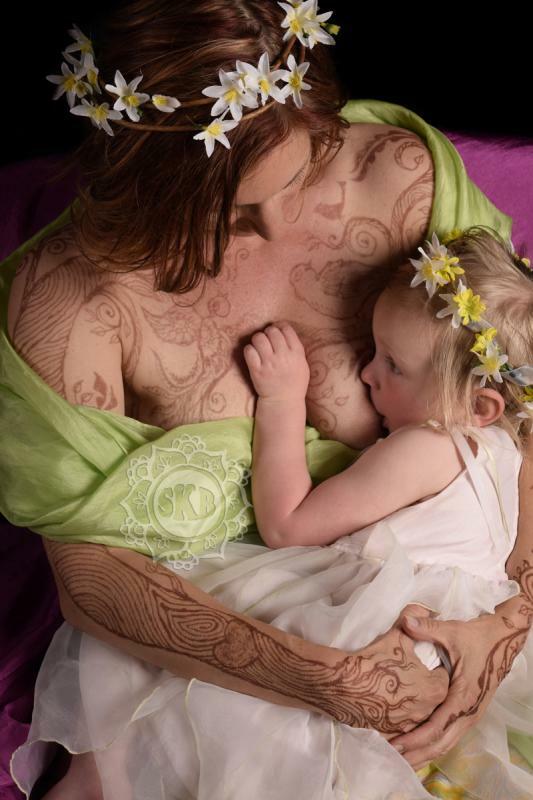 as well as breastfeeding henna (not pictured here). We met a few days later to photograph outside at dawn ~ brrr! 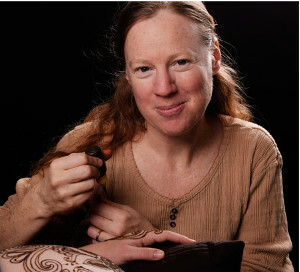 Renee knew she wanted me to adorn her with birds... there is a beautiful story behind these birds that I got to hear as I painted her for about 2 hours in my studio. I love how it came out! 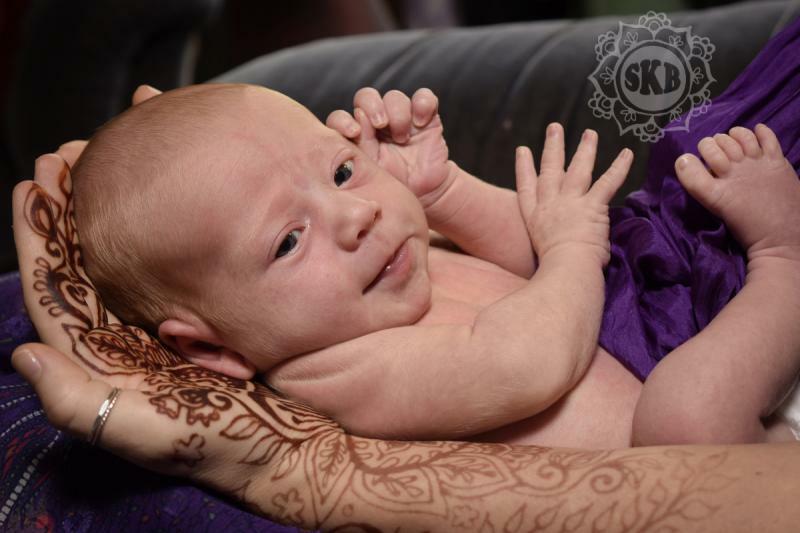 While we were photographing Lyndsay, her mom was photographing all of us! 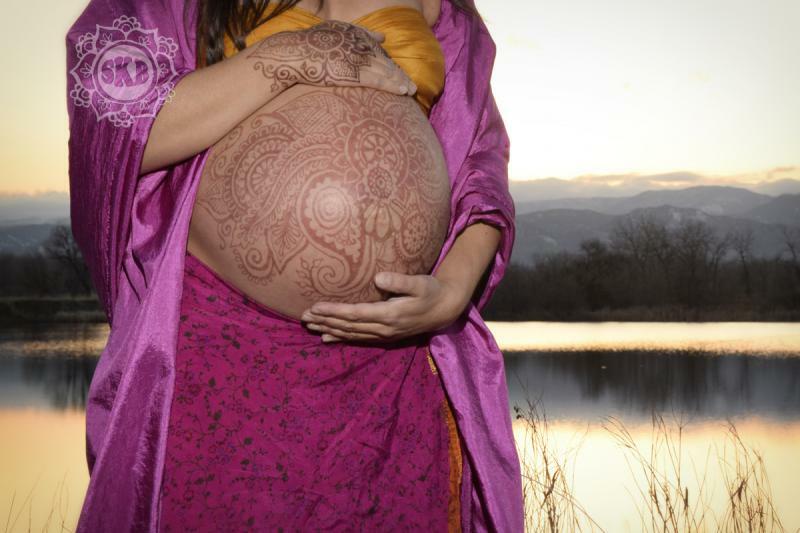 What a great photo Pamela! 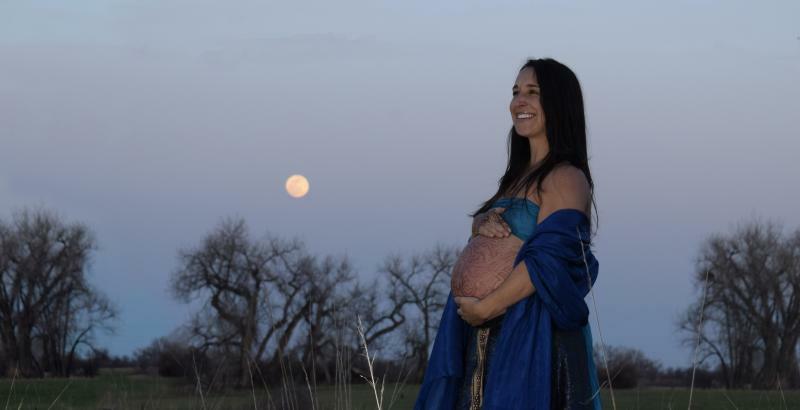 The full moon was rising! What a beautiful photos ~ you are glowing Sanam! 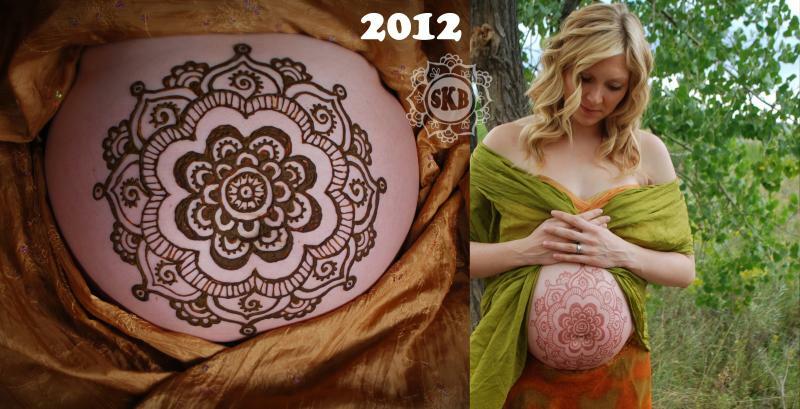 Postpartum henna is really a beautiful tradition that I love to re-create. 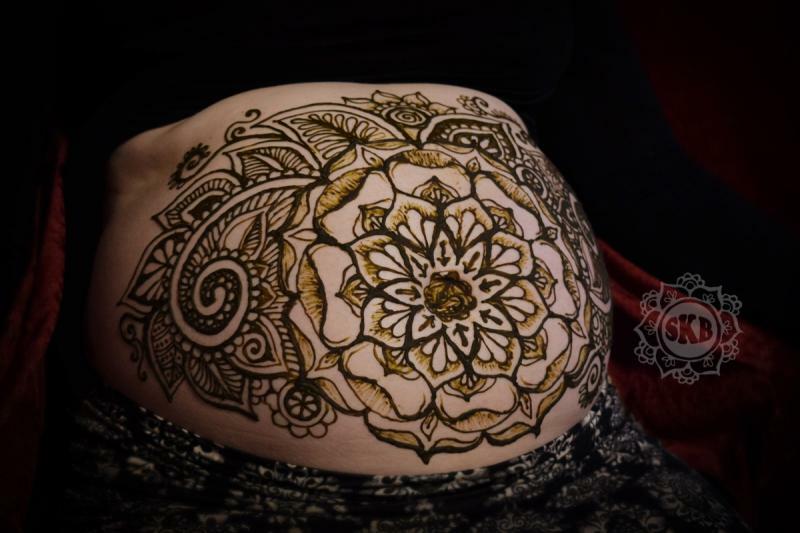 It originally comes to us from North Africa, where new mamas are blessed and protected with henna tattoos during the first 9 days after the baby is born. 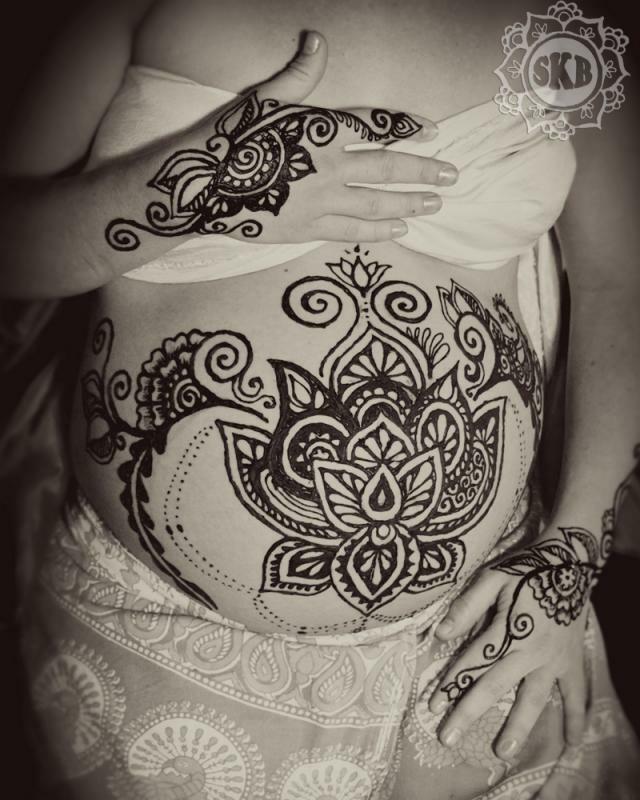 I had adorned Elizabeth for her pregnancy and when she gave birth she let me know she was ready for more henna. 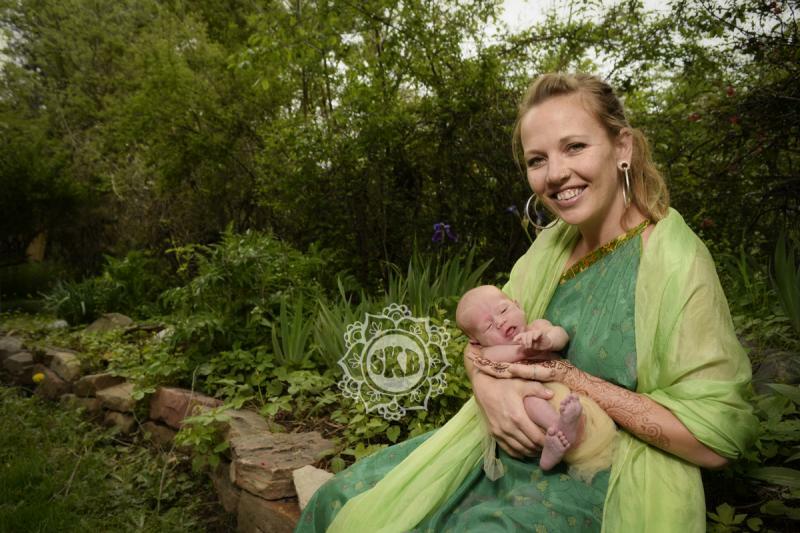 I drove to her home in Boulder to adorn her while she laid in bed with her newborn babe, which slept in her arms and nursed during the entire session. 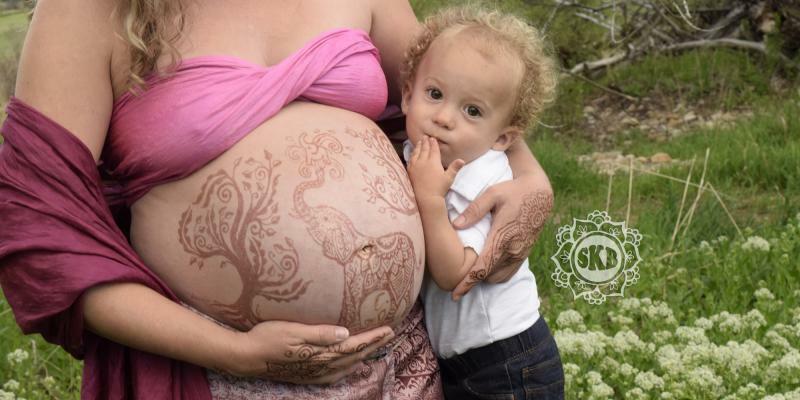 I returned to her home a few days later to adorn her daughter too and take photos of the 3 of them... so precious!